Warm greetings, my name is Janet Kenny. I live in a popular Northwest coastal resort. I’ve not had an early career path as I was a ‘stay at home’ mum for many years. I’ve had varied part-time positions with no real job satisfaction, but predominantly they were to fit in with my family lifestyle. I’ve always loved having Complementary therapies and treatments. After many years of further education in studying the English Language, I decided to switch fields and study Complementary / Holistic Therapies; where my heart and passion truly lie. 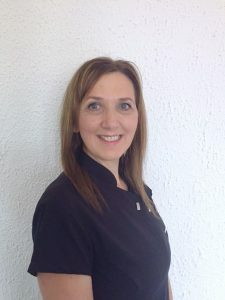 Having trained at the renowned Ansdell College in Lytham, and other private beauty colleges; I discovered Kara and the Athena Beauty Spa & Training Centre. After being a regular client and building up a relationship, I was offered a position as a therapist and tutor. I jumped at the chance and have enjoyed my time here ever since. My hobbies are walking, creative writing, poetry and I love treating my friends to mini pamper parties at my own clinic. I look forward to meeting you at Athena Beauty Training Centre and making your experience an enjoyable and successful one.